Feel like you can’t face another hand print turkey this Thanksgiving? 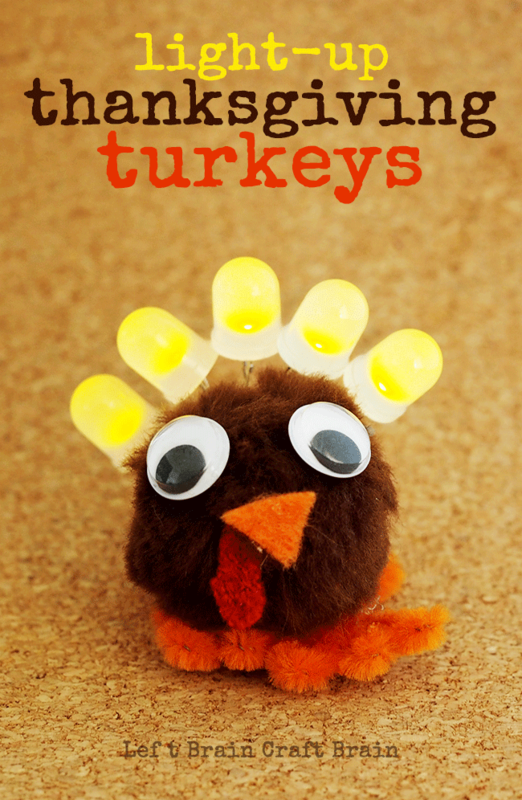 Try a different turkey craft with the kiddos this year! 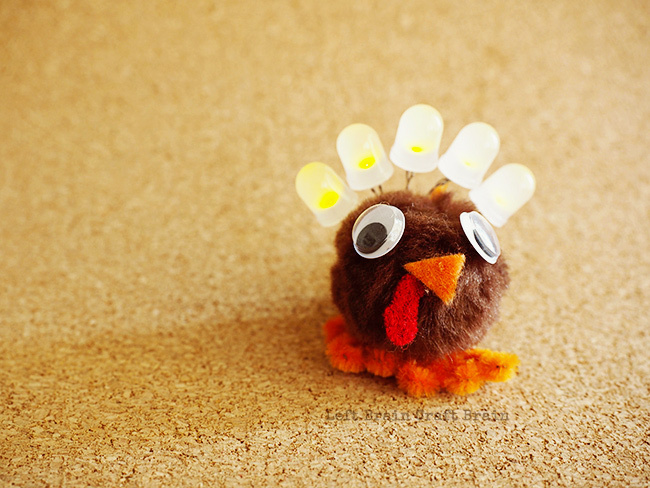 I love these adorable light-up turkeys made with a very simple circuit of a battery and bulbs and soft and fluffy pom poms. This post contains affiliate links. Safety Note: Please keep coin cell batteries away from children who still put things in their mouth. They are extremely hazardous if swallowed. Grab your battery and find the positive side. 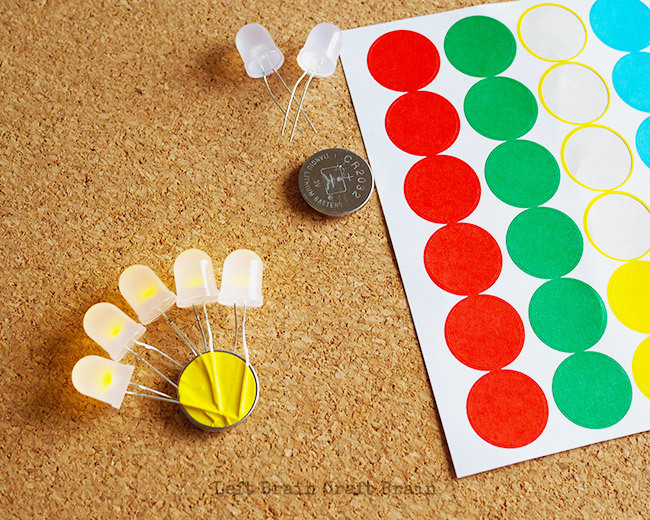 Place your LEDs with the long contact on the plus side of the battery and fan them out like a turkey tail. Secure them with the circle stickers. If you’re having trouble keeping the lights shining bright, you can try using duct tape or using fewer LEDs. First cut out a triangle shaped beak out of orange felt and a waddle out of red felt. 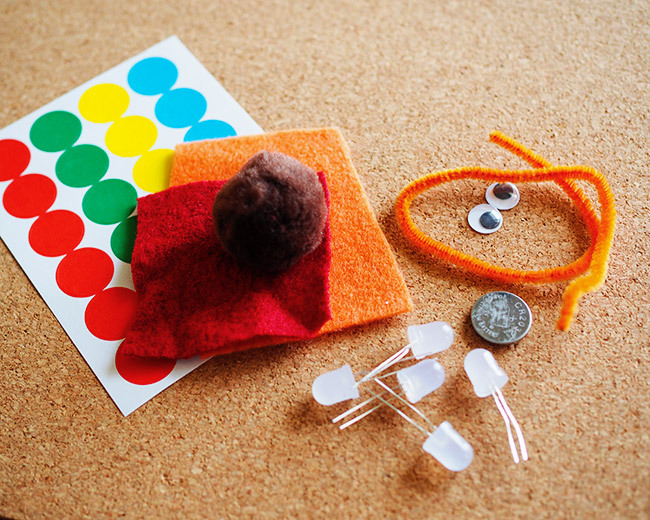 Then glue your googly eyes, beak and waddle to your pom pom. Next, make your turkey feet out of an orange pipe cleaner. Simply bend back and forth to form the toes and glue to the bottom of the pom pom. 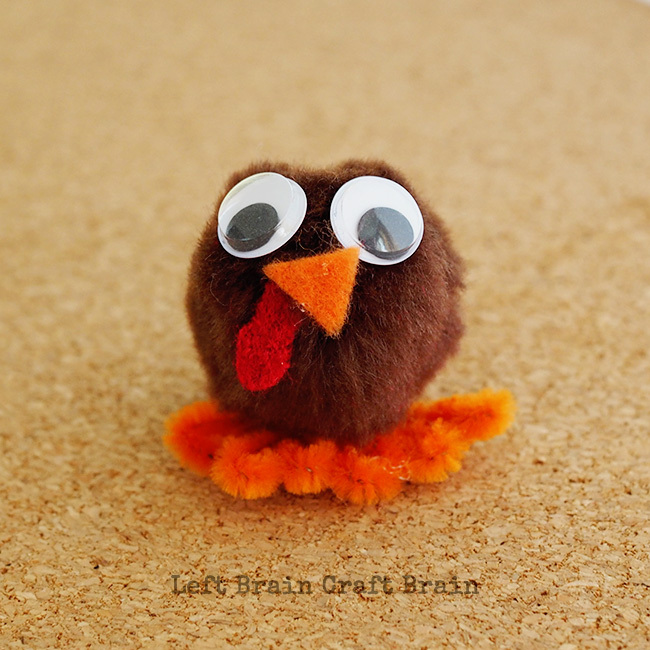 Glue the back of the decorated pom pom to one side of the circuit turkey tail. The hardest part of this project is making this turkey stand, so I added an L shaped pipe cleaner stand to the back behind the battery. 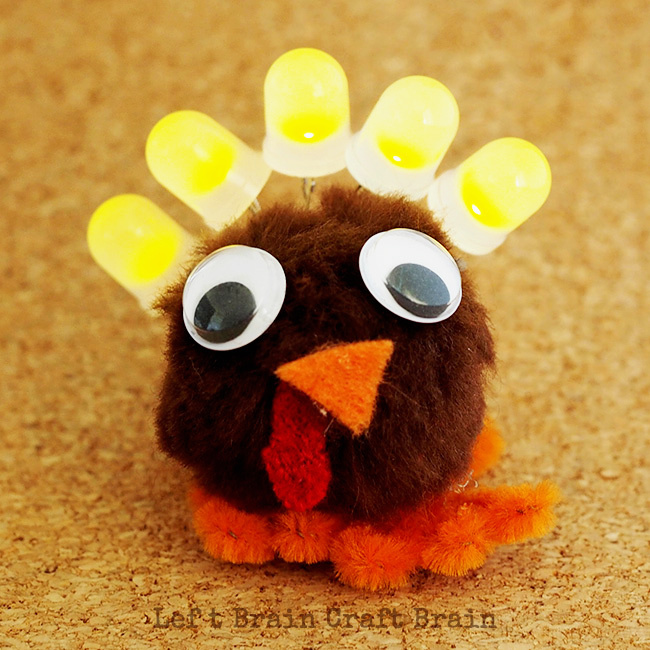 Looking for some more ways to combine learning with Thanksgiving? 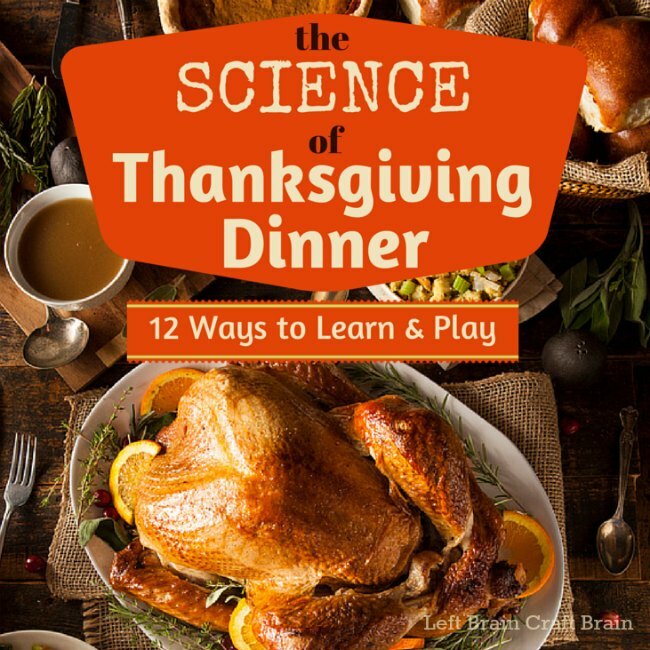 Check out the Science of Thanksgiving Dinner! There are fun activities about turkey, cranberries, sweet potatoes and more. Looking for some more holiday STEAM inspiration that use can use right now? Instant gratification style? Check out STEAM Kids Christmas EBook! It’s packed with 25 days of festive projects (plus an adorable printable advent calendar!) that will wow the boredom right out of your kids. Best Thanksgiving STEM activity ever! Way too cute! Thanks for the idea!